We recently featured the closed-top Coupe version of this car. RM is also selling a Coupe – and Bonhams, who is selling the Coupe I just linked to, is also selling a Volante. It’s a good time to be in the market for the rarest Aston Martins. The V8 Vantage Zagato was produced in limited quantities between 1986 and 1990. They’re powered by a 430 horsepower, 5.3-liter V-8. That’s a lot of power for 1989 – so much so that the hood is fitted with a “power bulge” – a term that I’ll just go ahead and leave alone for now. Try finding a faster convertible from that year. It’s not going to happen. Or one that’s rarer. Aston only built 37 convertibles of this type and this is the only left-hand-drive example. The bright yellow paint is the best indicator that you’ve got a supercar here. Zagato’s boxy styling was great for the era but now it just screams of the era, which isn’t a bad thing as things tend to come back around. Aston ended the 80s on a high note with this car and the price reflects it. This should bring between $490,000-$600,000 at auction. Click here for more info and here for more from this sale. 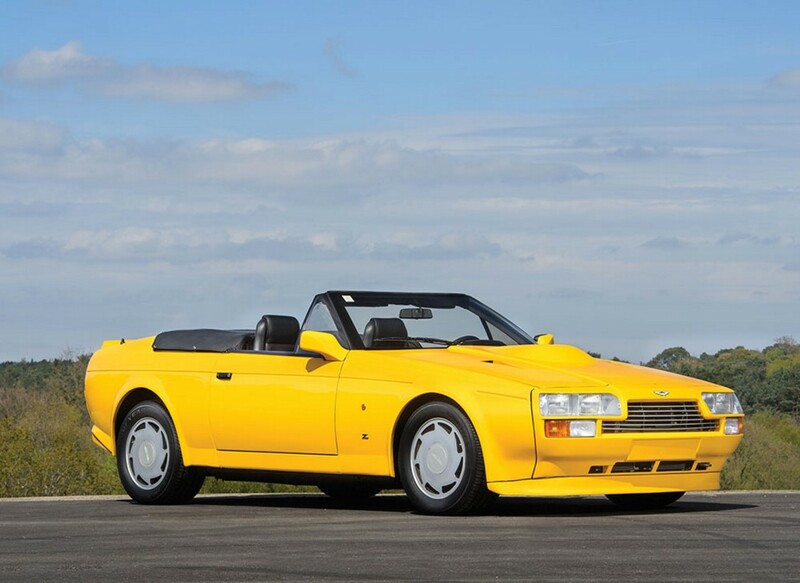 This entry was posted in Uncategorized and tagged 1989, aston martin, auctions, cars, classic carsa, rm sothebys, v8 vantage, volante, zagato by classiccarweekly. Bookmark the permalink.